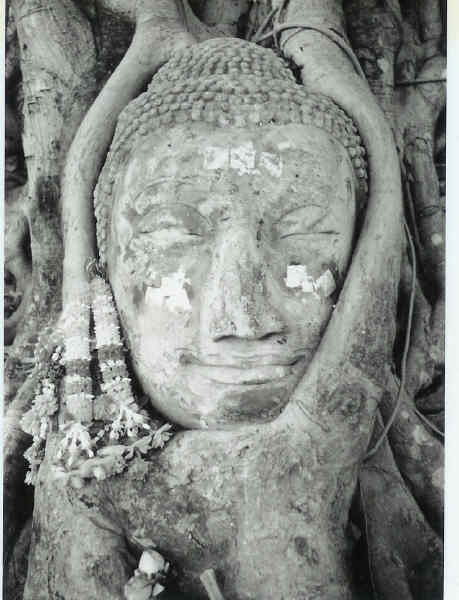 The head of a buddha statue being hugged by the trunk of a Banyan tree, among the ruins of Ayutthaya in Thailand. 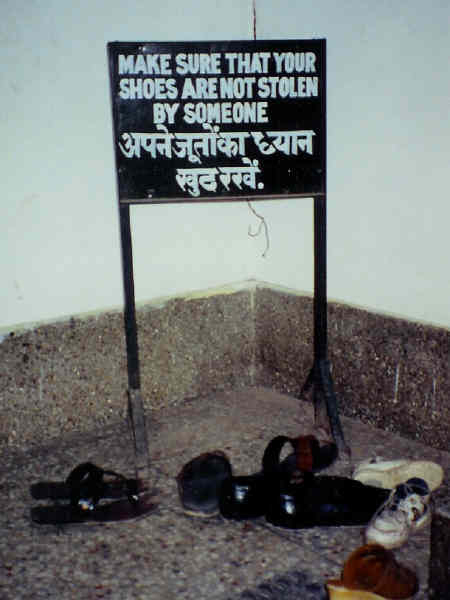 This particular shrine is one of my favorite spots in all of my travels. 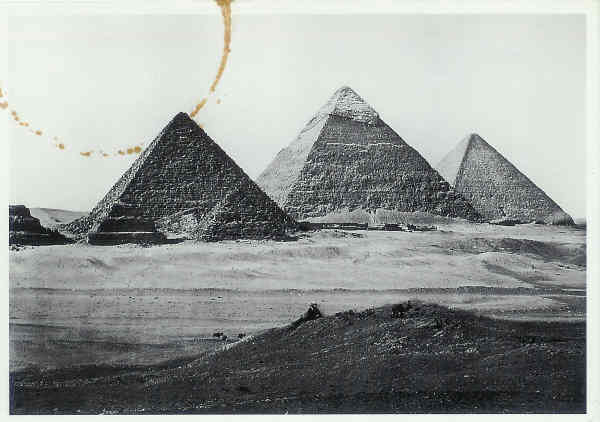 A postcard of an 1862 photo of the Pyramids of Giza by Francis Frith (coffee stain, circa 2003).